Hello you beautiful day, even though Mother nature is being a big ol’ BBBBrattt…. So the amazing Dr. Tori and Dr. Erin will be prescribing you with your dose of F*ck this weather tonight with a smile! 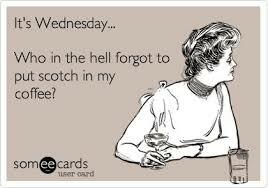 and serving up whatever sunshine you want in your glass or bottle! CHEERS!! 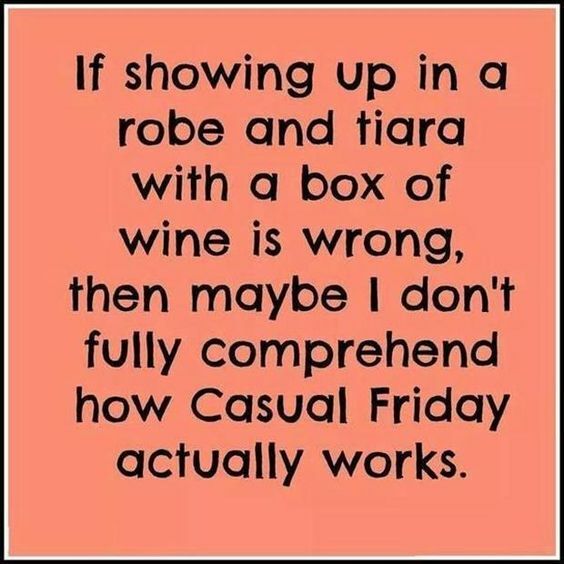 Oh, it’s Fri-nally FRIDAY!! Who wants to get “Flocked up” with Erin tonight at The Sanity Room?! We will be having tropical drinks and pizzas! Fly on in and see me! CHEERS! Well Helllooo again! We’re back! 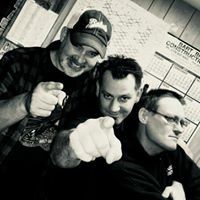 Dz Guyz at The Sanity Room TONIGHT!!!! Starting at 7! They are amazing, fun, and easy on the eyes! Hope to see ya all tonight! 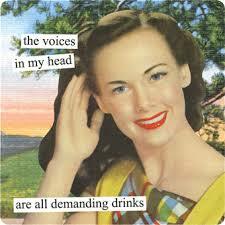 Huge selection of craft beers, wine, and full spirit bar to quench your thirst! Happy happy FRIDAY! So you all love to do throw back Thursday… I say we THROW BACK A FEW DRINKS this THURSDAY! 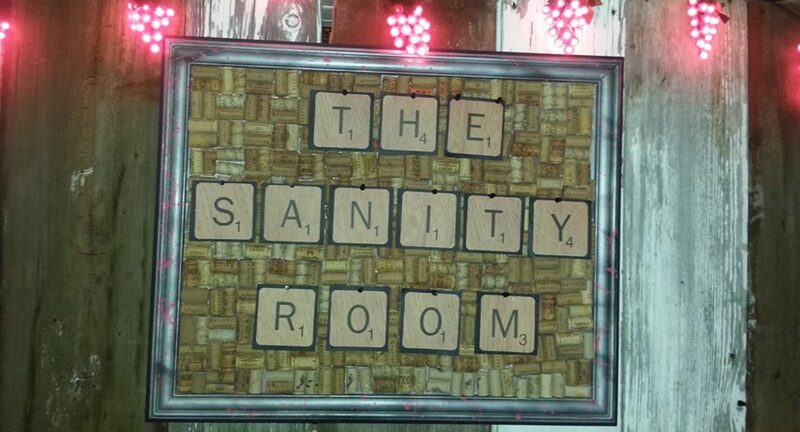 The Sanity Room is washing winter out to Sea with Rum tasting tonight!!! Hope to see ya! CHEERS!!! 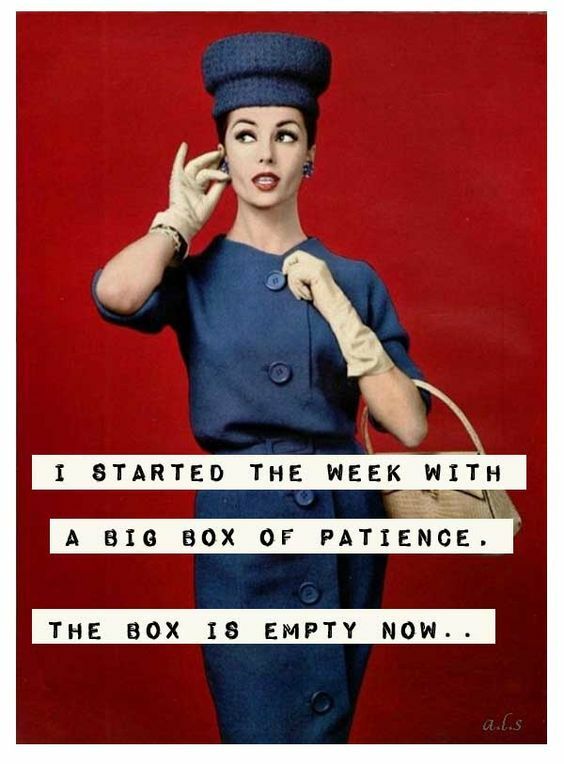 Morning all, NOT good morning JUST morning…Having Monday off just gives me a reason to hate Tuesday… this stinks! Lets declare this PJ day, grab a bottle of wine and lay in bed all day, waiting for someone to bring us another bottle of wine.. Good luck! For those of you who think Valentines day is the dumbest “holiday” ever… We have a treat for you! 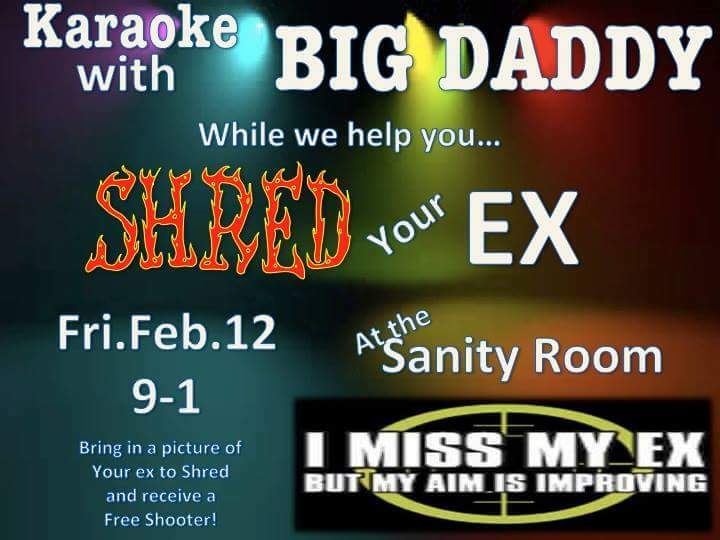 The Sanity Room will be hosting SHRED YOUR EX, open at 3:30, with Big Daddy’s Karaoke, starting at 9. 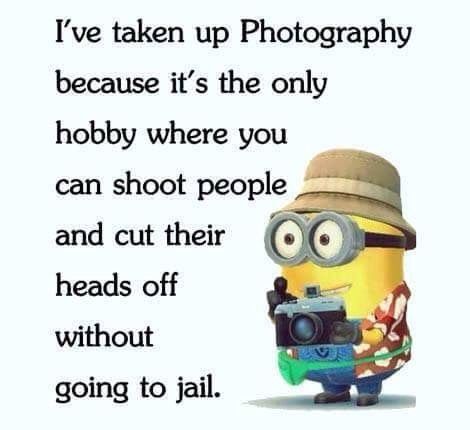 Bring in a picture of your Ex and receive a FREE Shooter! 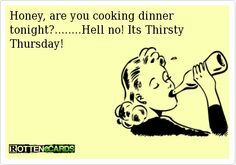 Thirsty Thursday, Friday Eve, who the heck cares what you call it. There’s a pork chop in every bottle, so hell no I’m not cooking, I will open your beer for ya though… You’re Welcome!